The Image Manager client provides powerful capabilities to capture, identify, and upload images and other documents to the UnForm archive libraries. Images can be scanned or imported from local or network Windows file systems. Design jobs that do scripted processing of images, with full page and zonal OCR, zonal barcodes, ODBC validation, user-defined forms, and other advanced features based on VBScript. Use barcode and OCR recognition to automate document identification and to capture key data, such as vendor and invoice numbers, line item details, search keywords, and more. Upload not just images, but also grid oriented data as XML and important custom image data values as parsable text information for use in server-side automation and export activities. 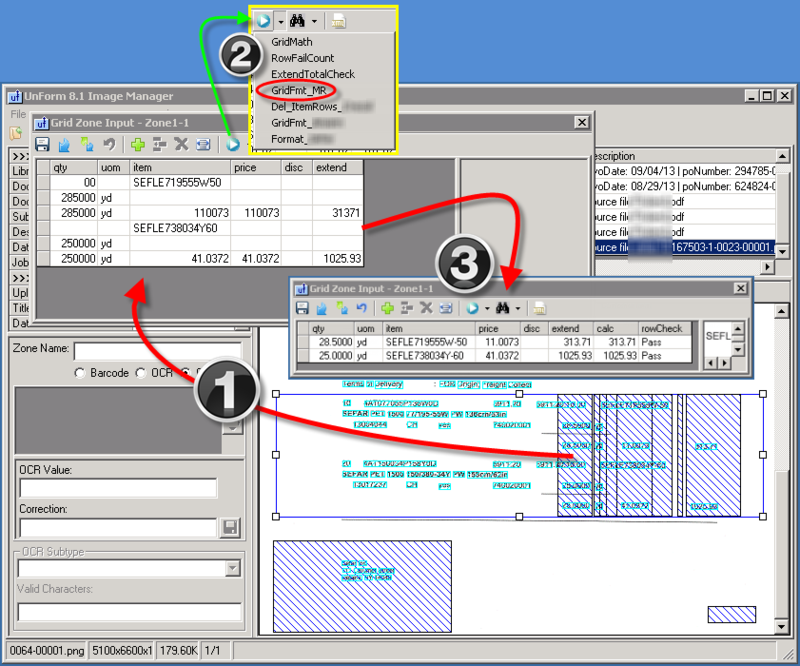 For example, inject vendor invoice data directly into EDI import streams. Version 9.0 brings forward all version 8.1 enhancements, and has been updated to support the version 9 archive library structure changes. 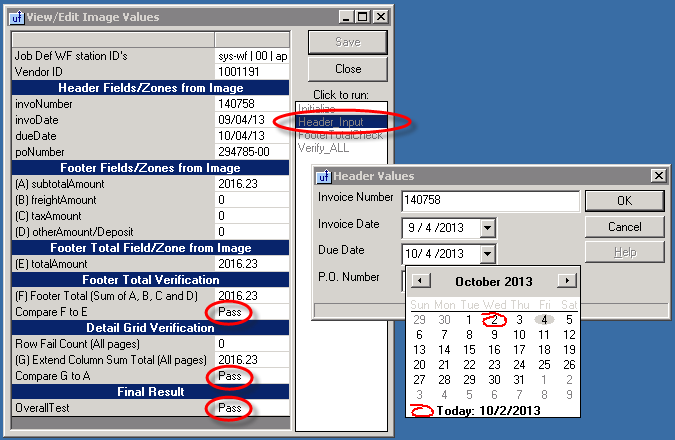 Primary working screen with OCR grid data and data validation values. 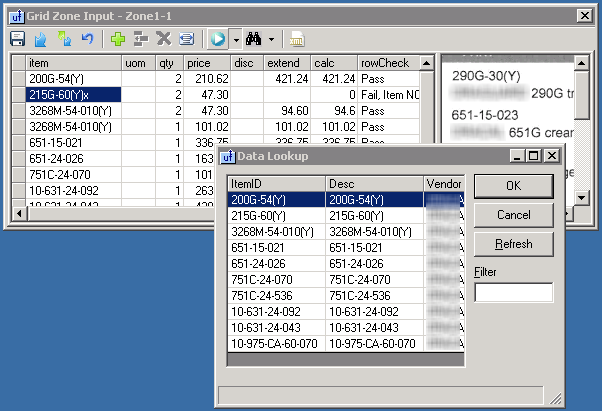 Grid zone with custom procedures for data correction and validation. 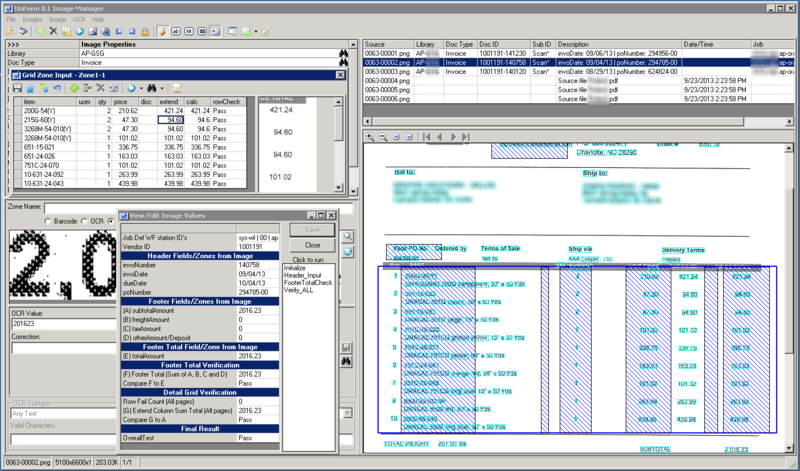 Image values form, a central workspace for users to view and validate image data, such as amounts, dates, and identification. Example of multi-line OCR data captured in a grid, and then automatically processed to linearize it to correct line item detail data.